When your organization gets federal grants as a subrecipient, it’s easy to feel like you’re in the dark about what is really required. A recent grant reform initiative at the federal level promised clarity, uniformity and burden reduction for recipients. But experience is already showing that those benefits are not necessarily filtering down to the subrecipient level. Many so-called pass-through entities are continuing “business as usual” — doing what they’ve always done to subrecipients by loading up the subaward agreements with plenty of requirements. Restrictive payment procedures, strict cost allowability interpretations, excessive reporting and intrusive oversight are just some of the features that often accompany subawards. While the federal government included some protections for subrecipients in the rules, there’s no conveniently packaged “subrecipients’ bill of rights.” So finding those protections, bringing them to the attention of the pass-through entity and seeking agreement modifications requires knowledge and tact. It makes sense for you to be able to identify what really is required, and what kind of oversight you should legitimately expect. You can then undertake your subrecipient role from a position of strength. You’ll receive advice about when and how to respond when and if a pass-through entity wants to act excessively. 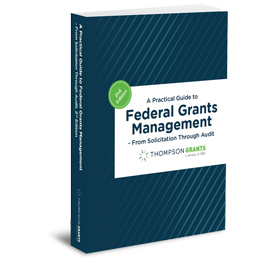 Join Bob Lloyd, principal of Federal Fund Management Advisor™, for this timely and practical look at federal requirements from a subrecipient’s perspective.